pseudobunny & co.: Boy finds wooly mammoth tooth. 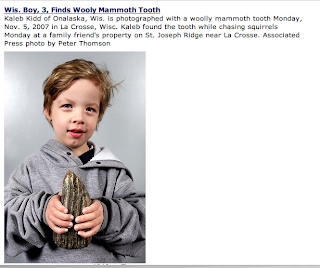 Boy finds wooly mammoth tooth. And whoa! 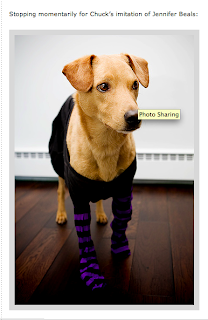 And the litte boy is adorable to boot! And oh GAWD !!!!! THAT IS SOOOOO NASTY!!! There are others. I will highlight them as the weeks continue. Because it isn't all about me folks! There are other more literate and humorous than me. I know , I know...Hard to believe. Alas..The end of the year always makes me speaketh the truthiness.